Need Private Hire Insurance? Find insurance quotes at low prices with our specialised service. Our Private Hire Insurance comparison service covers private hire vehicles or minicabs. We can offer insurance both for traditional public hire (cabs which can be hailed in the street) or private hire, where cars have to be booked in advance. We also cover many different vehicle types including black cabs, saloon cars, executive vehicles and MPVS. Through our service you will be able to get competitive quotations from companies, such as Aviva, RSA and the Equity Insurance Group amongst many others. These companies all have experience at understanding how important insurance is for those who make a living from driving. They appreciate that if you need to make a claim, it needs to be sorted quickly and efficiently so you can get back to work. Our service can save you valuable time. We take note of your requirements and provide them to a panel of insurers. If any of these insurers are able to help, they will contact you directly. It means you do not have to give out your details to multiple companies on many different websites. We are very happy to help you find cover either for public hire or private hire taxis. Private hire vehicles are usually booked for appointment via a central office normally licensed through the local authority - drivers are then instructed to go to the address given by the customer. Public hire taxis can be hailed on the street or picked up at various taxi points, such as at the station, at any time of day. Often called black cabs, these are more heavily regulated than minicabs. If you are working within the London Public Carriage Office area, the rules state that you have to pass 'The Knowledge' proving you know the quickest route across the capital for any journey. Once you know the cab type and whether it is for public or private use, you can then enter those on the appropriate boxes on our form. This will ensure you get quotes for the correct type of insurance that you require. The highest proportion of taxi drivers choose comprehensive cover for their vehicles as they are vital to you as your main source of income. The legal minimum third party cover would not normally offer a replacement vehicle for you to use should you be unfortunate in having an 'at fault' accident. Your base and the area in which you drive. This could be the address of your office, or the plating authority that your car falls under. Larger cities such as London, Manchester, Leeds, Bristol or Glasgow tend to mean higher premiums due to the increased number of traffic accidents which occur there. Also the increased risk of taxi drivers facing erratic behaviour from those under the influence of alcohol or drugs in city centres increases the risks of damage to your cab. If you are looking to add additional drivers, there are some points to consider. Additional drivers on your policy under the age of 25 can possibly increase your premium, as can other drivers with a poor driving record or a history of claims. If, however, your additional divers have a better record than your own, then you may find your premiums fall. It is important to be totally open when applying for insurance. If you provide false information such as pretending someone older or with a better driving record is the main driver when they are not (a process called 'fronting'), the insurer may decide that your claim is invalid leaving you with a very large bill. All insurers will expect drivers to have a full UK license. Some may even ask for a number of years experience. If you have held a taxi badge for a number of years it can significantly reduce your premiums. Some insurers will start to offer discounts after a year. Mirrored no claims bonuses mean that, if you have a no claims bonus (NCB) on your normal car insurance policy, this can be mirrored onto your private hire or public hire insurance policy. This only really applies when you first take out taxi insurance as after that your taxi insurance no claims discount will be more important. Long term it is much more favourable to buy an annual policy rather than a monthly one as it is only usually annual policies which will allow you to build up a no claims bonus. You can buy an annual policy, but pay monthly for it to spread the costs. While black cabs dominate in central London, elsewhere private and public hire vehicles come in all shapes and size. Whichever vehicle you choose to drive, the price, age, quality and size of the engine will all be factors which can affect your taxi insurance premium. However, the number of passengers you carry will probably be the biggest influence on the cost. Taxi insurance is not like normal car insurance policies as mileage often has less impact on taxi insurance premiums. The majority offer unlimited mileage cover but it is worth finding out about limited mileage policies if you do not expect to do many miles as some brokers and insurers do offer them. 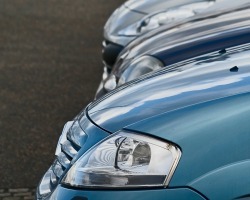 Consider where your vehicle is kept overnight as it can have an impact on your premiums. The amount of excess you are willing to pay if you have an 'at fault' accident or your taxi is stolen can also change the premiums. Adding taxi breakdown cover (including cover which would mean you are supplied with a replacement taxi if your own vehicle is off the road) is worth considering. Also Public Liability insurance in case a passenger makes a claim against you. This can provide an extension beyond the third party cover your taxi insurance offers.